Single Player Half-Life 2 mod. I can’t tell you anything else, there’s nothing in the file, no readme nothing, except two maps. What do you know about it? That are 2 maps from the leaked beta. They still are more or less in the retail HL2 version. Oh dear! I didn’t know. I found them on FPS Banana. They were added last week. They are from the HL2 Beta. Though, I think they seem to have fixed them up and made them playable. 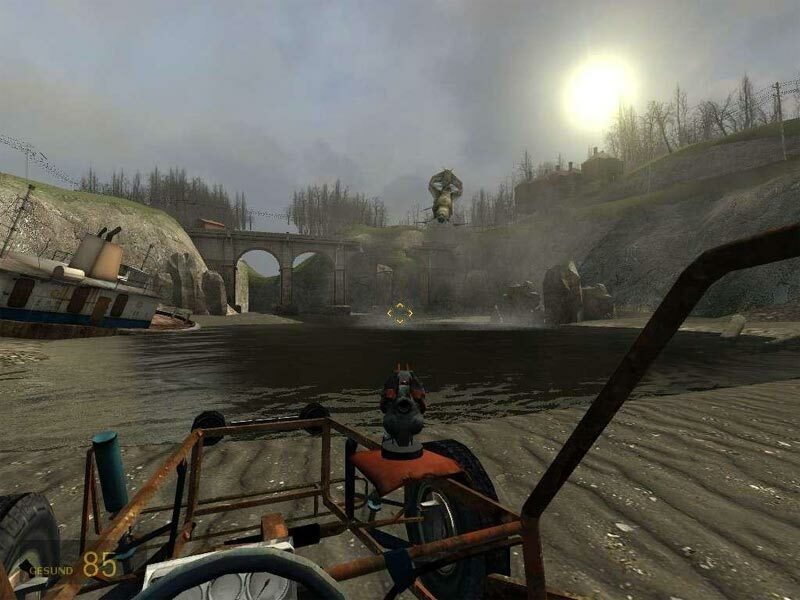 the seafloor map is nearlly the same as the map in HL2 where you use the crane to put your buggy up on the pier so you can drive through the warehouse and upto another and run it up the ramp and through the window.in this map there is no crane or pier you just drive up the ramp.